The old couple marvels at the beautiful Snow Maiden - a daughter that came alive after they sculpted her from snow. The village youth are standing in the distance, looking on and rejoicing at the newcomer. 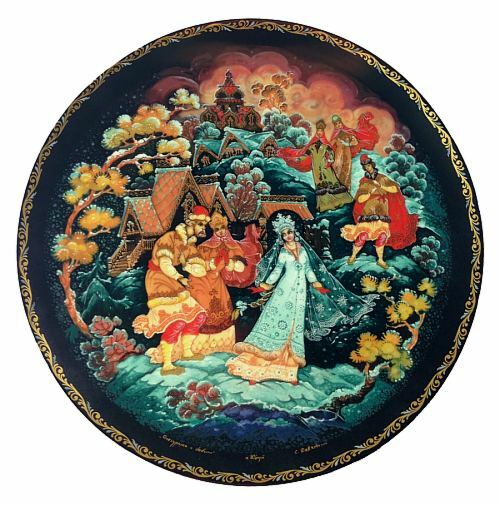 This collectible plate is based on a lacquer miniature by Kholui artist Sergey Devyatkin, and is the second in the series of collectible plates devoted to the fairy tale "The Snow Maiden". The plate is in excellent condition and comes with the original documents and box.